Each year I usually do a set of Acrylic nails on myself with some sort of Christmas design on them, but this year I have opted out of Acrylics (mainly because I just haven't got the time to sit and do them!) and just to keep with my natural nails and paint those with nail varnishes I already own in Christmassy colours......is christmassy even a word?? 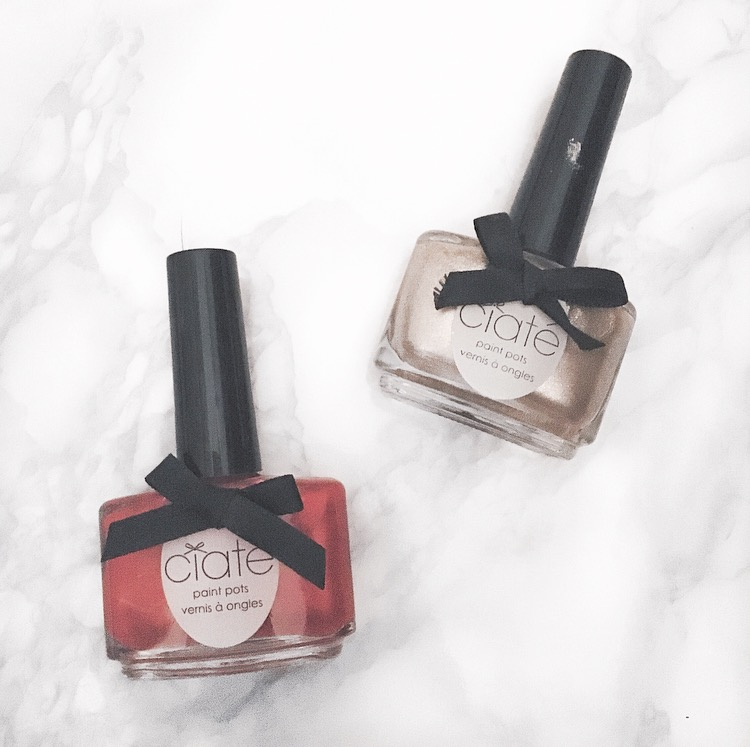 The colour's that I'm using this year are by the brand Ciate, and the 2 colours that I've gone for are called "Kitten Heels" and "Sand Dune". I did really want to go for a red and a glitter green, but I couldn't find the perfect green amongst my stash of nail varnishes so opted for gold instead. 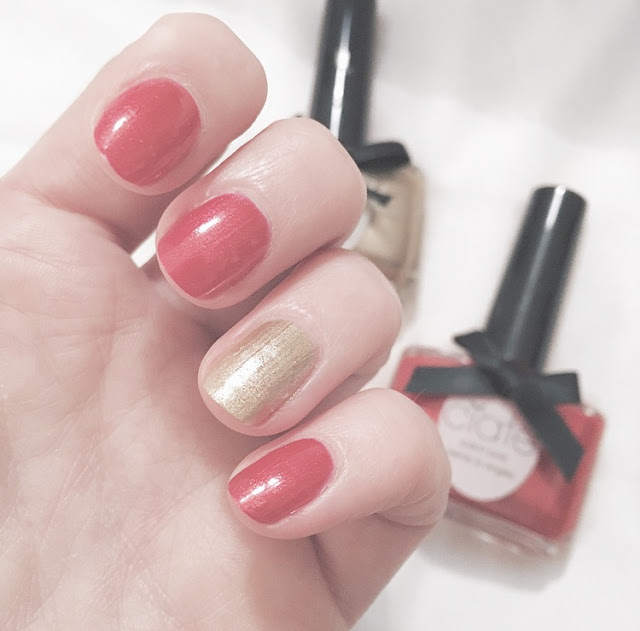 I decided to paint all my nails in red except for my accent nail which I painted in the gold colour instead. What will you all be wearing on your nails over Christmas?